It’s been a while since we have posted about a Starbucks App Pick of the Week, but this one is definitely worth mentioning. Right now, popular game and Apple Design Award Winner Monument Valley, which retails for $4.59 CAD in the App Store, is available for free. We spotted them at our local Starbucks and grabbed a few codes for y’all. How to redeem these codes? Just launch the App Store, scroll to the very bottom, tap ‘Redeem’, then either use the iPhone’s camera to scan one of the codes below, or enter it in manually. 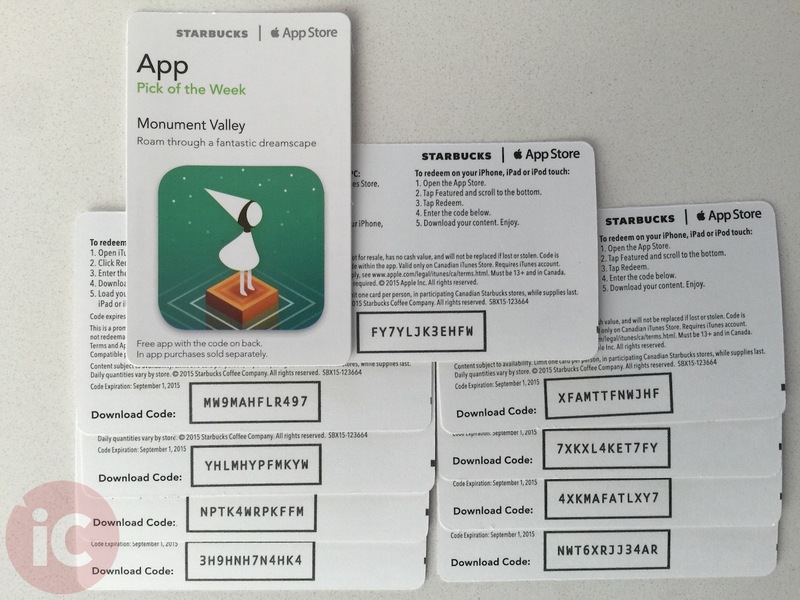 You can also click here to buy Monument Valley for $4.59 in the App Store.